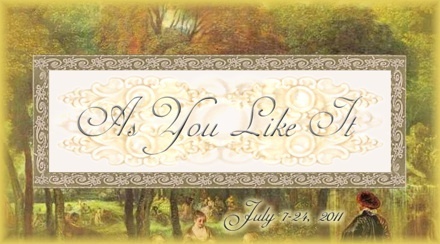 Ithaca Shakespeare Company - April 2011 News: Two Shows in Rep This Summer! Why are we doing A Midsummer Night's Dream again, after just doing it two years ago? 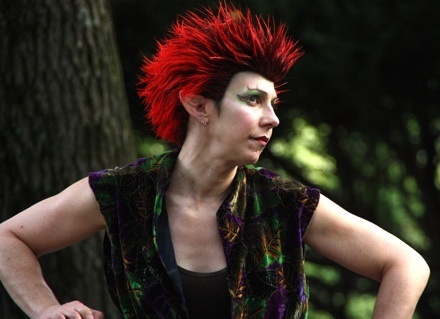 This year's production came about because the Ithaca Festival chose "A Midsummer Night's Dream" as the festival's 2011 theme and invited us to present a production of the play as part of the festivities. That sounded like a great idea to us, but we couldn't stand the thought of preparing a production for only a single performance. And we had already started planning to do As You Like It as our Plantations show for this year. So we decided to take this opportunity to leap ahead into something we've been considering for several years: adding a second show to our summer season and presenting them in rotating repertory. 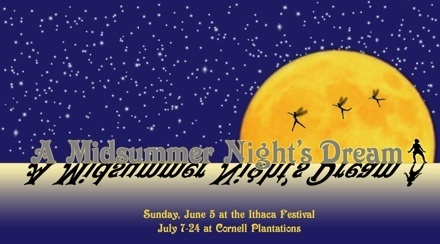 So Midsummer will have its premiere at the Ithaca Festival in Stewart Park, and then it will be presented in rotation with As You Like It at Cornell Plantations in July. Will this be a revival of the 2009 production, or a completely new version? It's a little of both. Some actors will be returning in their 2009 roles, and some of the characters in that show were so perfect and so beloved by our audiences that we can't bear to make major changes in them. On the other hand, the majority of the cast and creative team are new to this production, so they will inevitably come up with different approaches to this endlessly adaptable script. Why perform these shows in rotating repertory? Because it's fun! For both the actors and the audiences. Come one night and see an actor playing a Duke; come back the next night, and he's a country bumpkin. Or a lover and a villain. A fairy and a...non-fairy. Different costumes, different characters, same people. The actors love the challenge of creating wildly different characters each night. And audiences can see two completely different Shakespeare shows in a short span of time. Moreover, we see the addition of a second show as a major step toward our long-term goal: building a full-fledged Ithaca Shakespeare Festival from the ground up! Summer 2011: Double Your Pleasure! Shakespeare's most popular and magical play, and perhaps the most perfect theatrical comedy ever written!